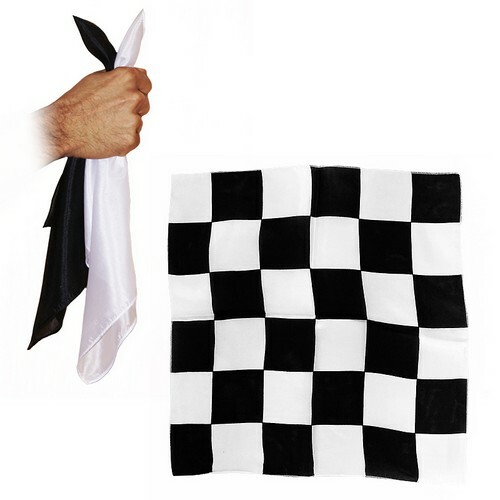 Effect 1: The magician shows two differently colored silks and magically changes them into a single checkered silk. Effect 2: The magician shows a checkered silk, and magically changes it into two solid colored silks. • 100% pure silk. • This is an original Alberto Sitta item and the quality is second to none. • The three silks (of the same size), necessary for the effect are supplied. • The effect can be accomplished by using any apparatus (sold separately) that can perform a change such as: change bags, mirror glasses, devil’s hank). NOTE: In the video the effect is shown, but the size of the foulards that you will receive is shown in the title.